Do you own an ancient subwoofer that has gone from good to very bad over the years? If so, you may have considered getting an upgrade from the same brand. 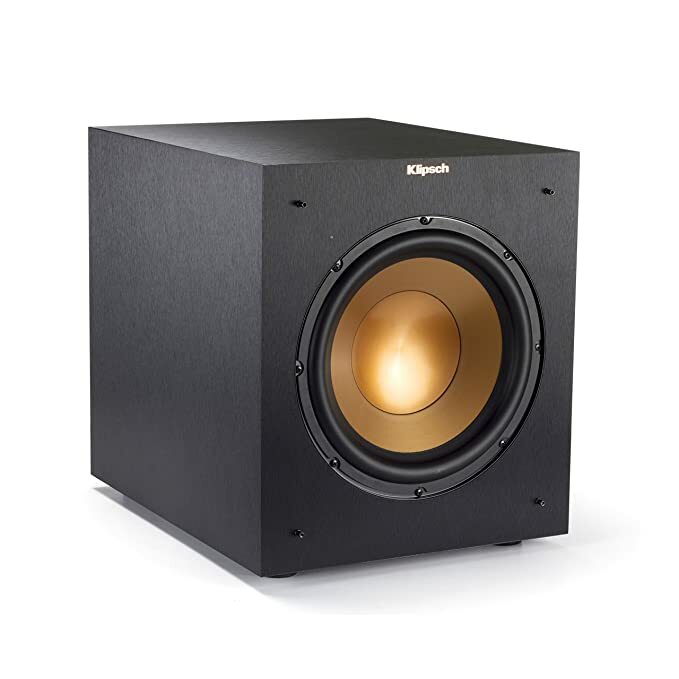 Subwoofers help bring out low-frequency sound from audio. Without them, your music and movies simply wouldn't sound the same in most circumstances. But like smartphones, they have received lots of groundbreaking updates within the last few years, some which allow them to be controlled with only your voice commands. 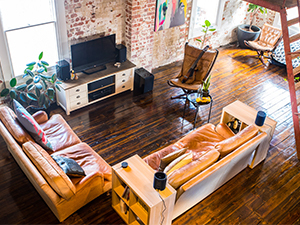 The wireless alternatives utilize receivers and transmitters to make the low height devices play without the burden of worry over long cords and frustrating setup. Below are six of the best wireless subwoofers for this purpose, each built with durability and sound quality in mind. Once you're finished with the reviews, don't forget to look over the Buyer's Guide to get in-depth information about which subs are best suited for your wireless home entertainment system. 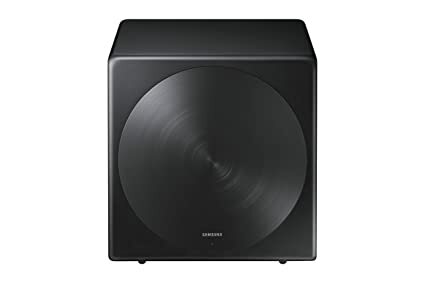 What is the best wireless subwoofer to buy in 2019? This comparison table will help you find out the basic specifications for each subwoofer reviewed. It doesn't cover everything, so be sure to look further if there's more information that you need about a certain brand that isn't listed here. 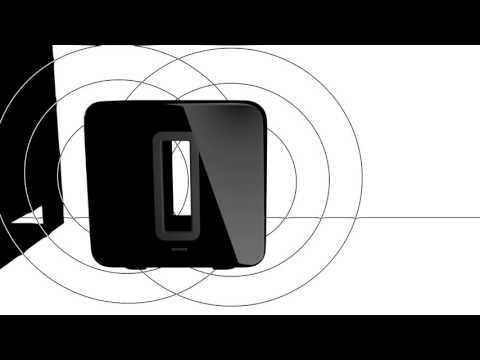 The Sonos Sub is by far one of the best wireless subwoofers being sold on the market today. It's packed with lots of exciting features that virtually any noise can set up and have running in no time. If you enjoy looking at movies and listening to music with minimal need for going through dials to get the bass just right, this should be considered at the top of your list to buy, hands down. First off, it's fully compatible with Amazon Alexa, and once paired, can be operated with a verbal command from the user. That means you'll be able to control the sub's volume and base by simply speaking to your device (the Alexa) whenever you need to change something. There's also hardly any of the negative aspects that are found with other wireless subwoofers. You won't get any clipping and feedback from the sub or when connected to your amplifier. It's also pretty neatly designed. You can stand it up vertically or horizontally, so fitting it in tight or enclosed spaces shouldn't stress you out when you're ready to hear it for the first time. This also helps with the room, since more items can be placed on your entertainment centers along with the sub itself. 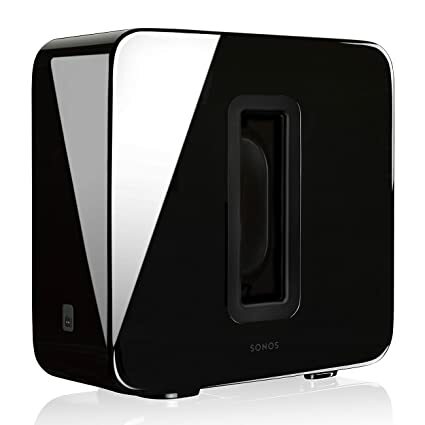 But like all things, the Sonos isn't perfect. You may experience an abrupt stop on some occasions that will require you to connect the sub to your smartphone or radio/television set again, although it's unlikely to occur for most people. And while the bass is very good, those who listen to lots of base-heavy music may notice a slight decrease when compared to similar models. This is really in the eye of the beholder though, as some audiophiles stress that too much base can take out the mids and highs in a song's decibels. Overall, try out the Sonos for its high-quality boom and fast setup. The appearance is advanced and will fit in well with the rest of your living room or bedroom electronics. It's the subwoofer for people that like to "Alexify" their home with as many gadgets that can possibly pair with the computer. 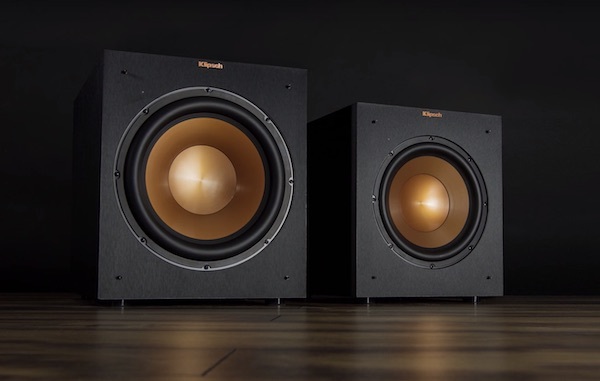 The Klipsch R-10SWi leads in terms of appearance, design, and low-frequency output. It has a copper plate on the exterior that allows the base to come out with outstanding clarity, a sound that is rich in texture but not overbearing. The feel is very retro and harkens back to the days of early subwoofers that were oftentimes giant and much larger than this product. If sound quality is what you're going for, This should go well with any audio you pump through its amplifier. That's right, there's also an amp built into the sub itself, so you won't have to use a separate speaker system if you don't want. Most will probably do this anyway, but it's still nice to see something with both sound output placed into the same product. 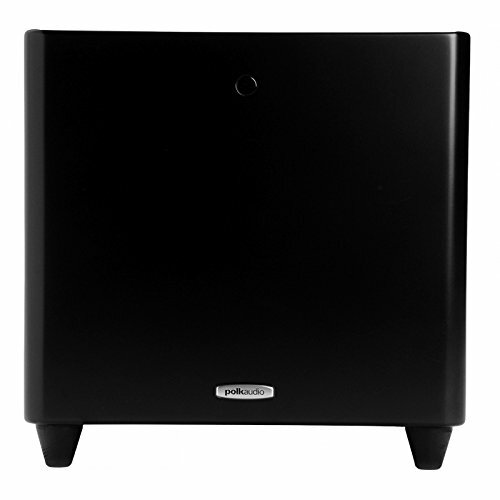 The Polk DSWPRO is another wireless sub that looks a bit more traditional than the brands shown above. But don't take that as a rudimentary feature; there's plenty here for any audio lover so be happy about. Four presets are on the subwoofer itself, which can help you finetune clarity from the base. 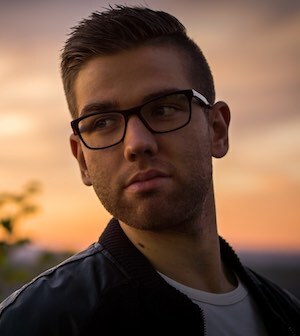 If you're the type that likes deep, thumping bass that echoes off the walls when you hear it, just set it to one of the presets and let the sub work its magic. There's also a nice remote control added with the box, but it's likely that you won't be using it too often. It sometimes gets spotty and difficult to press. Once you've got the preset fixed to where you like, you won't have to djay the sub every time you switch to a different song. 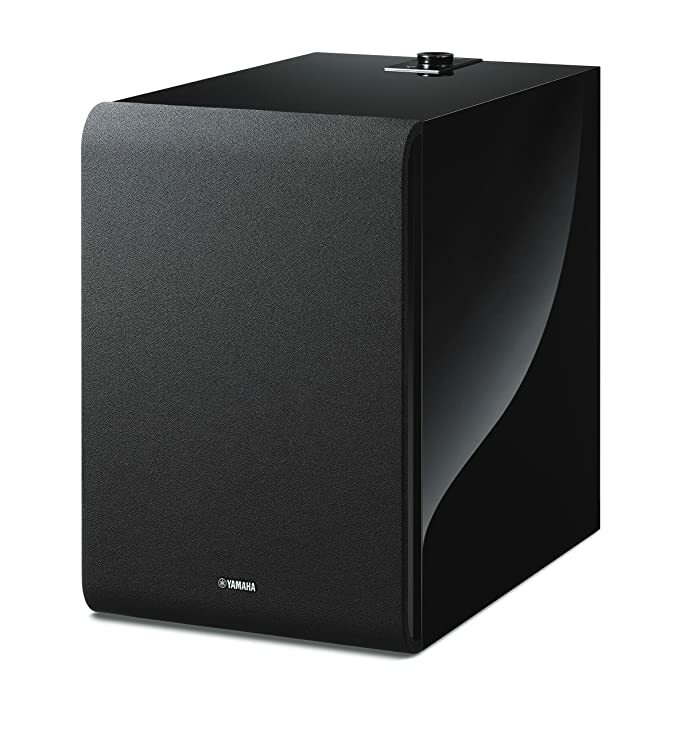 Samsung's SWA-W700 is another box type subwoofer that is great when used with sound bars. It pairs easily with those made by the company itself, although there isn't one included here. You'll have to purchase that separately. But regardless, the base level remains strong and quality is stellar. There is no surround to speak of, so you cannot get the base to move from left to right. This is something that could become an issue for picky audiophiles, but most consumers shouldn't have a problem. And if you like to play your music/films up loud, the bass volume could turn down when in the middle of a portion with very low frequency, requiring that you turn it back to here it was before. If you don't mind these hiccups, then the Samsung SWA-W700 remains a good pick for most people, particularly those who already own a Samsung sound bar. 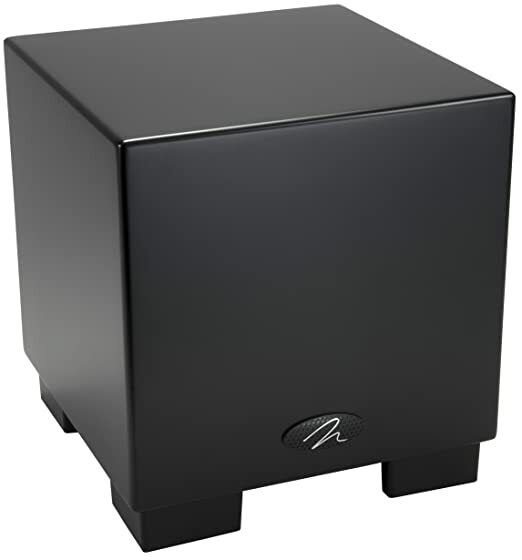 The square-shaped MartinLogan Dynamo is a ten-inch subwoofer for those that like bass tight and sharp. Classical music and films will sound as if you're in the theater, whereby the frequency alternates with good precision no matter how varied the audio track becomes. You can use sound bars or stereo receivers with this, and the setup instructions and easy to follow. The transmitters themselves are not the best, so do consider a replacement if you notice any interference in the base after having them for a while. It's also odd when pairing with the receiver; you may end up playing around with it for some time trying to get the signal to stay without bumping off. Still, it's a good subwoofer for those who are new to using high-quality systems of this sort. Last but not least is the Yamaha MusicCast Sub, a wireless product that's smooth and housed in a brilliant black finish. This is another brand that's ready for Amazon Alexa, so go with this one if you're unsure about the first sub that was reviewed. Base sounds clean and compressed. There's also little skipping or cracking to be heard during music play. Stability is what everyone looks for in low frequencies, and Yamaha gets it right on most audio that transfers through its subwoofer. The biggest drawback is how dirty the finish gets from dust. It's a dust magnet that will have to be cleaned regularly, which increases the chances of scratches forming from being wiped down. They will show up fast if this happens. But in the end, the MusicCast does most things right and should perform well with most music listening devices and televisions. Subwoofers come in all shapes and sizes, but these are specifically deseigned to be used as a staple for your home entertainment system. As such, you'll want to be careful about which product you end up with, being that it's probably going to stay with you for a long time. At least, when you get the right one for you. To ensure that this will happen, take a look at the information below so that you won't end up with something that'll necessitate a quick return. How Big is the Area you Plan on Using the Subwoofer? The beauty about having a wireless subwoofer is the fact that there's better coverage for you to place the product wherever you would like. Since there's no need for wired connections, you can easily hook it up in any room in your home of choice. Keep in mind that many will still need to be placed near an outlet, as the sub receives sound from AC power. While you won't have to make much space for the product you're looking at, go over any areas in which you think the sub will be used most of the time. For most, this will be the living room. But consider your bedrooms and/or garage too, particularly if you like to hang out in those areas when listening to music or watching movies. Setting up a wireless subwoofer is much easier than doing it with one that is dependent on long RCA and stereo cables. No more will you have to run long wires throughout the room to hook everything together. 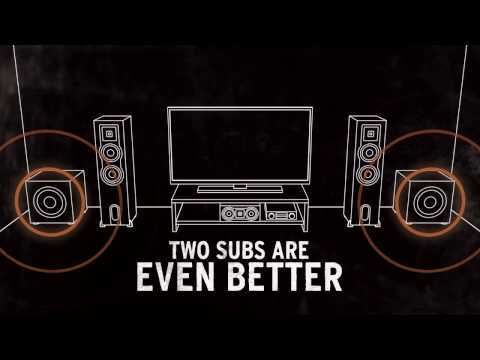 Most subs like these require either a receiver and transmitter or soundbar. Whichever way you choose to do it, you'll have great sound quality. However, some audiophiles claim that receivers work better in transferring sound into decibels. Most people wouldn't be able to tell the difference though. Still, if you're not sure, go with the product that's easiest for you. If you already own a sound bar, try it out first. Having already mentioned how wireless subs work, subwoofers that require a wired connection remain great in their own right. There are brands that sell everything that one would need to alter theirs into one with wireless capabilities, but wireless is the best option overall. It requires less tinkering and the sound will come out better in many cases since the subs are specifically built for this purpose. The only downside to a wired connection is that you may encounter signal interference from other Blu Ray devices nearby, something that could be exasperated if there are lots of other wireless signals nearby the receiver. As for wired, cords all over the place and lots of time spent looking for where to actually place the system. This is the fun part. The bass is measured by frequency, whereby the lower it's output is gauged at, the better the speaker system will sound. Low frequencies produce a rich, thumping pound that will cover a long distance envelop the entirety of your home. This is especially noticeable if you're the type that likes to play their music at high volume levels. Some subs also have their own dedicated amplifiers, so you won't need to rely on a separate set on those with the feature. The brands reviewed above all have outstanding low-frequency outputs that get better the more you use them. On the first try, you may notice the sound is somewhat stiff. It's a normal issue that must be "broken in" over a short period. Although mentioned earlier, there's more than you should know about signal interference. You can prevent this by setting up the subwoofer in places that aren't close to a large number of electronic devices that also use wireless features. While you probably won't experience any interruptions from a small handful of smartphones that are close to it, consider moving them (or the sub) if you do hear odd feedback coming from the amp or sub itself. Oftentimes this will solve the problem. Additionally, check the receiver and transmitter to ensure that there's no faulty or loose wiring in the back of the product. Most people have issues with their woofers because of things that can be easily fixed by a little troubleshooting, so don't fret if the sound is off when if test it out for the first time. Some of the subwoofer listed in the reviews have extra features that could come in handy if there are other devices compatible with its receiver. Amazon's Alexa is the most popular. Using this, you can activate and control the base using only voice commands, something that would take wireless setup a step further. It's a neat attribute but it isn't always available on every sub you'll come across. Most of the brands that do have this feature will advertise it proudly, as it's often a good selling point from the device in question. If you have an Alexa, check out the subwoofers that are suited to be used with its innovative voice commands. Wireless subwoofers will pour out heavy bass for all of their music and home movies. In fact, once set up, you'll be tempted to never enter a movie theater again. Music quality will be boosted to levels that you're probably more familiar at hearing in a bar or sports lounge, and space will be saved from having more areas to place the device in the areas of your home you want them to be. Music and film lovers are the targets, but even those who make music will appreciate how the subs bring out the sound in their recordings. Transport is also easy, requiring no numerous parts to pack up if you plan on moving it outside of the home. Once you have chosen the subwoofer you know if right for your home entertainment, go over the rest of the alternatives that were evaluated in the list. There's something for everyone, and it's guaranteed that you will have the best match that meets the level of base you're intending to hear from the product. But if you're still not sure about which product to use, the Sonos Sub and Klipsch R-10SWi are top-of-the-line and deliver the absolute best in terms of frequency, wireless playback consistency, and setup. Don't take this as a putdown for the rest of the lineup though, as they will succeed in creating the wall of sound that you may be seeking with a subwoofer of this type. In this regard, they will all get the job done.